Lichfield is located just 17 miles north of Birmingham. 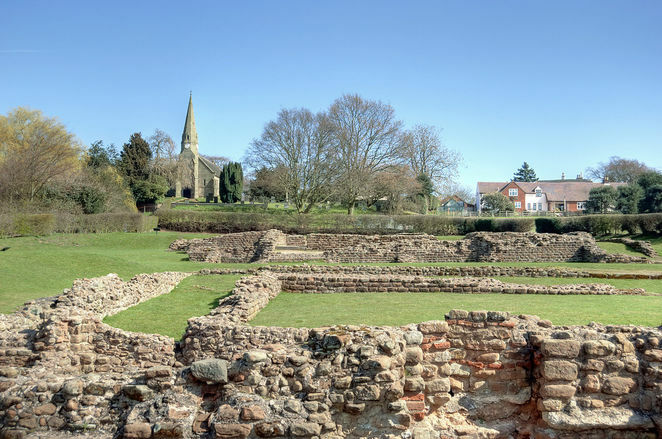 It was once the seat of bishops in the Kingdom of Mercia during the Anglo-Saxon period and it was a contested area during the English Civil War. 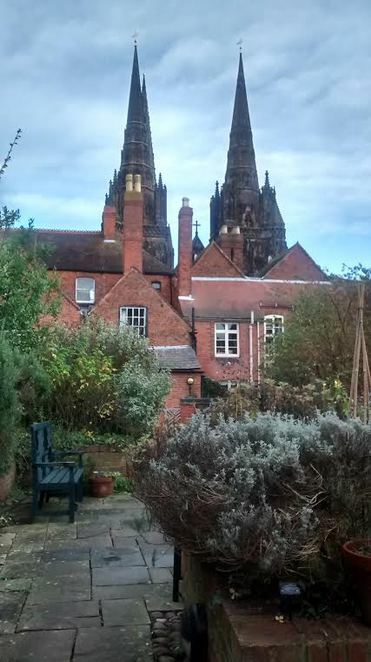 The success of Lichfield in the eighteenth century as a centre of culture and intellect led Samuel Johnson to call it 'a city of philosophers.' With such a long history, there are many sites of interest to visit. The following is a selection of notable places that can be visited on a day trip. Lichfield rose to prominence as a religious centre in the Anglo-Saxon and medieval period. The cathedral held the relics of Saint Chad and was an important place of pilgrimage. It is significant as the only extant English medieval cathedral to have three spires in its design. More information about what to see at the cathedral is available in the article Top 10 Treasures of Lichfield Cathedral. Samuel Johnson is best known for A Dictionary of the English Language, but he was also a poet, prolific writer, and one of the most quoted people of the eighteenth century. Some of his famous quotes include: 'when a man is tired of London, he is tired of life,' and 'every man is to take existence on the terms on which it is given to him.' A compilation of over 1800 of his quotes is available here. The house was built by Johnson's father in 1707 and served as a residence and bookshop. The academic atmosphere had an effect on the young Samuel, as it is said that more books were read by the family than ever were sold to the public. The house has been recreated as it might have looked during Johnson's lifetime. Features of note include the room where Samuel was born, a modern bookshop, and an extensive collection of manuscripts, books, furniture, and artwork. Also of note is the former guestbook which contains the signatures of two of Tolkien's friends, Geoffrey Bache Smith and Robert Gilson, who are thought to be the inspiration behind Frodo and Sam in the Lord of the Rings. Both men were killed in the Battle of the Somme a year after signing this book. The TCBS behind their names in the image below stands for Tea Club, Barrovian Society (a club formed with Tolkien). Erasmus Darwin is famous for being the grandfather of Charles Darwin; however, he was also one of the most respected men of the eighteenth century for his skills as a physician and wide range of expertise in many diverse fields. His house stands across from the cathedral. The garden is divided into culinary herbs and medicinal herbs, which are labelled with the botanical and common names. The house is built upon the medieval wall that previously surrounded the cathedral. The house has served many functions through the centuries, but today it is a museum dedicated to Erasmus Darwin. The house has three main exhibition rooms and a library. The crooked narrow streets and historic timber-framed buildings of Tudor Row add interest to the shopping experience. 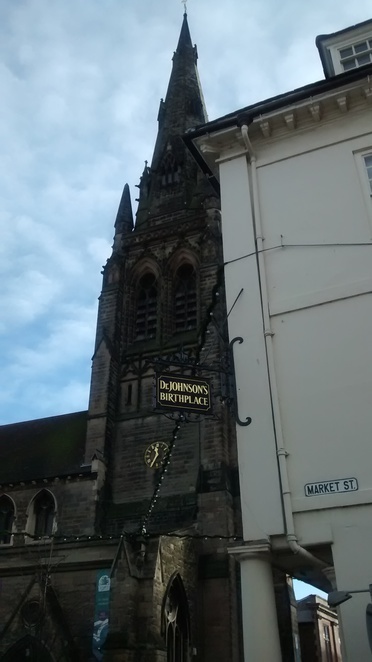 There are many local shops to investigate, as well as Quonians Lane, which is one of the oldest streets in the city. The street was home to a masonry business dating the nineteenth century and various carvings and statues are still present around the lane. 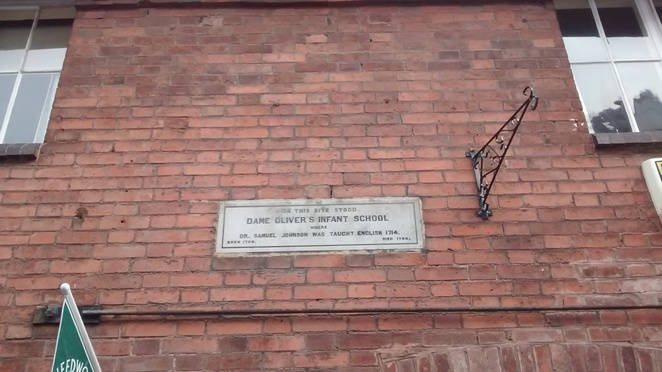 One of the buildings on Dam Street is the former Dame Oliver's Infant School where Samuel Johnson was educated as a child. Aside from places of historical interest, there is a fine selection of restaurants, tea shops, cafes, quirky antique shops, and more. Wall is a village just south of Lichfield. The village grew out of the original Roman settlement of Letocetum, which was abandoned by the Romans in the fifth century. The ruins of an inn and public baths are present at the site. This lodging and rest area was once part of the Roman military road network extending to North Wales.